In Progress is a Uplifting Classic Trance Track with a smooth melody and a strong bassfoundation. Besides the Original Mix it includes a Remix of Caiden Reed & Eyonics, which gives a lot of drive and punch including a nice summerfeeling and the Track Sundown. It is soundwise a bit harde, ideally dancable and rounds off the release perfectly. The EP is avaiable from 09/22/2013 as digital release via the label Vectiva Evolutions in all important download stores. The person behind Dreameye is Sebastian Emde a young talented producer from Munich with is very own interpretation of classic and uplifting trance. 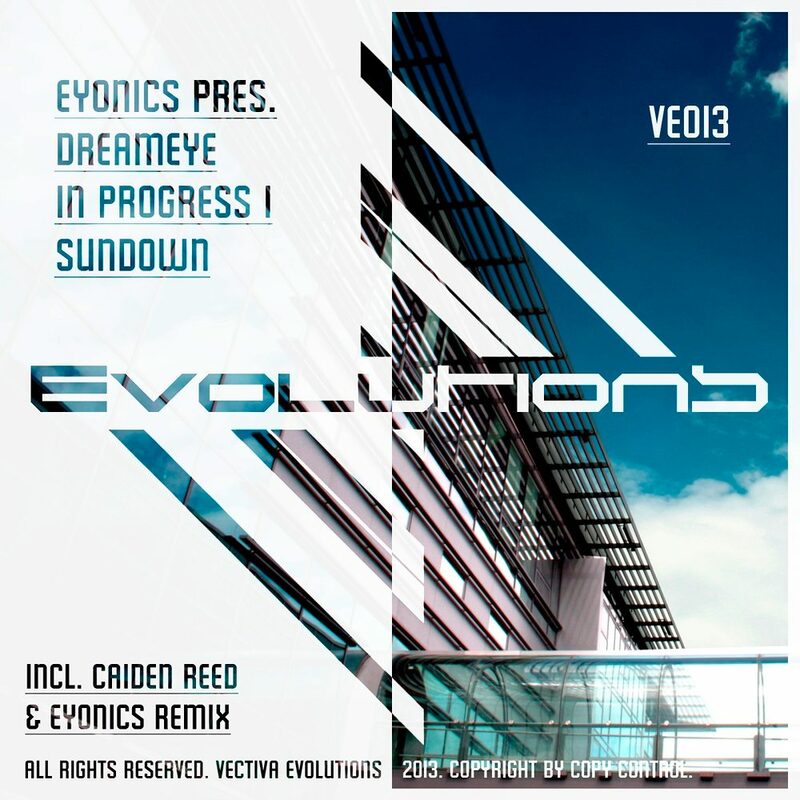 Apart from his work at the project “Eyonics” who had their first release in the year 2012 on D.MAX Deep Recordings, Sebastian is also active as solo artist under the name Dreameye. The result are groovy tracks with a straight build up. His first release was in 2010 on the digital label Techno Trance Essentials.